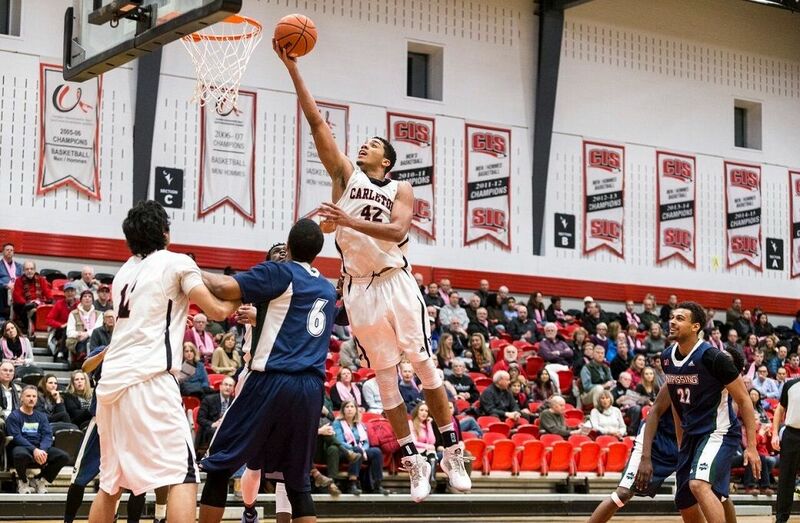 Carleton's Eddie Ekiyor leading rebounds per game for the Ravens. The Carleton Ravens look to equal one of the most prestigious Canadian university basketball records this week, while the Saskatchewan Huskies shoot for a second straight national banner, as the ArcelorMittal Dofasco U SPORTS Men’s and Women’s Final 8 tournaments tip off on Thursday. The national tournaments - hosted by Dalhousie Tigers for the first time since 1987, and the women’s tournament at the University of Victoria for the first time since 1993 - get under way Thursday at the Scotiabank Centre in Halifax, N.S. and the CARSA Performance Gym, culminating next Sunday, with the men’s final at 2:00 p.m. Atlantic Time (1:00 p.m. Eastern) and the women’s championship at 1:00 p.m. Pacific (4:00 p.m. Eastern), live on Sportsnet 360 and SN Now. Saturday’s semifinals will also be broadcast live on Sportsnet 360 and SN Now (Men’s: 1 p.m. & 3:30 p.m. Atlantic, Women’s: 2:00 p.m. & 4:00 p.m. Pacific). Livestreaming of all other games from the men’s competition will be webcast on TV1 webcast and the women’s event on U SPORTS.LIVE. Looking to add to their record collection of 12 W.P. McGee Trophy titles and one shy of Victoria’s streak of seven straight U SPORTS banners (1980-1986), the Ravens earned the second seed for the 2017 tourney behind the Ryerson Rams for the second straight year. Rounding out the draw are the No. 3 McGill Redmen (RSEQ champions), No. 4 Alberta Golden Bears (Canada West champs), No. 5 Dalhousie Tigers (AUS champions/hosts), No. 6 Manitoba Bisons (Canada West finalists), No. 7 Calgary Dinos (Canada West bronze medalists/At-large berth) and No. 8 Saint Mary’s Huskies (AUS finalists). A full schedule is available below. The Rams who went 17-2 in the regular season, narrowly advanced with 76-75 win over Ottawa in the OUA semifinal, before snapping Carleton’s undefeated season in an 86-79 victory in Saturday’s Wilson Cup final. The win claimed back-to-back OUA banners for Ryerson to go along with the No.1 seed. Carleton, meanwhile, reached the final by defeating Brock 89-64. The Redmen (13-3 regular season) won their fourth RSEQ title in five years, eliminating Laval in the semifinal with a 59-48 win, before topping UQAM 82-65 in the conference championship. Alberta (14-6) put an end to Manitoba’s (12-8) cinderella run through the Canada West playoffs, capturing the school’s 12th title and first since 2014 with a convincing 92-73 win. The Bisons, appearing in their first U SPORTS national tournament since 1985, had previously swept through nationally-ranked Calgary in the semifinals and UBC in the quarters. The Dinos (16-4) earned the wild-card entry following a 111-106 overtime win in the bronze medal game against Saskatchewan. “I have incredible memories of competing at the U SPORTS Championship in Halifax over 20 years ago,” said Manitoba head coach Kirby Schepp. “The city is an incredible host for this event and I am excited for our guys get a similar experience this year. 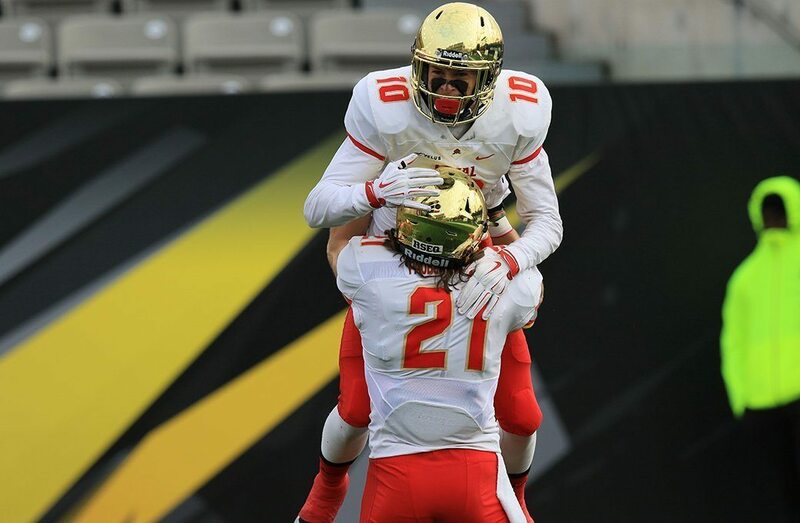 McGill has been one of the top programs in the country for several years now. Coach DeAverio has built a powerhouse team that has become a mainstay of the national tournament. We know it will be a tough first round match up but our guys have tremendous confidence right now and we are really looking forward to the challenge." “It’s a great opportunity for our team, for the fifth-year guys who have been there before,” said Calgary head coach Dan Vanhooren of earning the at-large berth. “Our comfort level will be better this time compared to last year. It’s great for our program with the young guys we have and the guys returning - it’s a great opportunity for us. Host Dalhousie (16-4) booked their spot in the Final 8 through the front door, three-peating as AUS champions after a 63-60 win over Saint Mary’s (13-7). Along the way the Tigers also knocked off Acadia, while the Huskies defeated StFX in the quarter-finals and UNB in the semis.